Captain America: Civil War, Superbowl Spot!! Ever since I was a little boy, I’ve always held a fascination for sharks. Apex predators of the sea, preying on anything and everything that comes into contact with them. Possessing rows of razor sharp teeth which can bite into anything and streamlined to mimic a biological torpedo barrelling towards you. I always thought to myself, is there anything more badass than a shark? I have recently come across information that there are a series of films detailing ‘Mega Shark’s’ various battles against creatures of size and awe. Produced by infamous B movie studio, The Asylum, it promised battles of epic proportions, creatures dancing with the very concept of death and to hopefully not bore me to the point of tears. This is my perilous journey across the chronicles of Mega Shark. 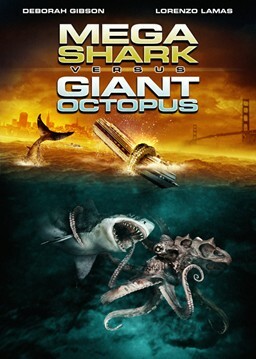 My first stop was at 2009’s Mega Shark vs Giant Octopus. Directed by Jack Perez and starring Deborah Gibson, Lorenzo Lamas and Vic Chao, I was promised a wild ride full of thrills, excitement and giant creatures of the deep, duking it out in a battle of supremacy. Who would emerge victorious? Which titan would swim victorious as king of the sea? I readied myself for 90 minutes of everything my life had been missing until this point. The first act of destruction we are treated to comes courtesy of the Giant Octopus. An oil rig is taken down in one fell swoop in a display of power for the audience. While this was impressive, I had no doubt in my mind that the Mega Shark would take this as a challenge to show us just how superior he is. My initial thoughts were proven true when he leaps out of what is probably the ocean, although we never see it so I’m going to assume it was from the very depths of hell itself, to destroy a goddamned commercial airliner. I want to stress that said airliner was mid flight. Also known as a mile into the air. Your move octopus. I was then disappointed to find out that most of the movie was going to revolve around a team of scientists who wanted to contain the creatures and a group of military men who wanted to destroy the creatures. The military obviously fail because humans can’t fight gods and they recruit the scientists to try and help them. All of their plans fail however because once again, who the hell do they think they are? Their one saving grace is that they finally come up with the idea of pitting the Mega Shark against the Giant Octopus, thus giving me what I’d been waiting a good 70 minutes to see. The time had finally come. The Mega Shark was in one corner, the Giant Octopus in the other. The seas very own Joe Frazier and Muhammad Ali had met. The fight of the century was about to begin. Of course the Mega Shark would win I thought, nothing could defeat a giant shark. Nothing! Imagine my surprise when after what I’m going to admit was quite the pitiful clash, both combatants float down apparently dead, to the bottom of the sea. Mega Shark couldn’t be dead. He was the lord of the sea, terror of the deep, bringer of watery doom. He would return, it was only a matter of time. 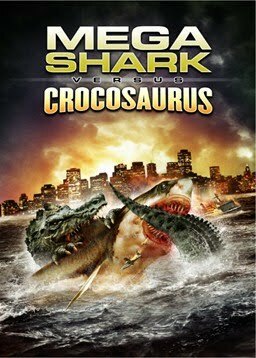 Christopher Ray brought us Mega Shark vs Crocosaurus in 2010. Starring a generic navy scientist, a generic strong independent female woman and a bizarro Crocodile Dundee, I hoped it would be able to bring me everything that the giant octopus couldn’t. Mainly, a fight with a believable adversary, I refuse to live in a world where an octopus could fight to a standstill with a shark, it was absolute madness. The opponent in this round came in the form of a gigantic crocodile and I do mean gigantic. Easily bigger than fan favourite Mega Shark, it seemed he had his work cut out for him this time around. My fears were somewhat stifled however when Crocosaurus was tranquillized by a single man, even if that single man was Crocodile Dundee’s drunken doppelgänger. 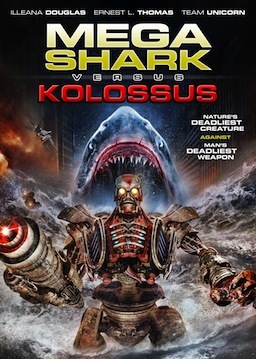 Mega Shark took on armies, battleships, the very concept of a monster movie itself. Was this really his opponent this time around? I started to get the feeling that this was going to be a very short movie. I would have to wait until the actual fight. I sat watching the film until some of the characters inevitably set Crocosaurus loose into the ocean amidst a Mega Shark attack. This was it! The contest was about to begin. It did not begin. Cue another 20 minutes of monster separation and futile human intervention. Had the navy learned nothing? It was clearly better to let the monsters fight it out while they sat back. Popcorn optional. The humans eventually decided to lure both monsters to an undersea volcano. An epic stage had been set, the battlefield decided. 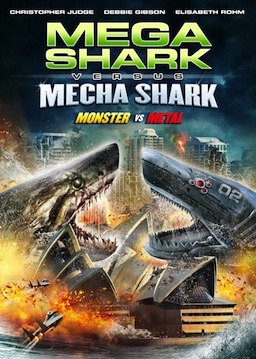 In the middle of all this chaos, Mega Shark managed to swallow a nuclear submarine, this was no longer just a fight, this was a superhero origin story. The two monsters sunk their teeth into one another as this was all that they were really equipped to do. If the volcano hadn’t erupted at that moment then who knows what could have happened. Once again, both monsters sank to the bottom of the sea, seemingly dead. But I know that Mega Shark will be back. Back and more radioactive than ever. Now while Mega Shark hadn’t actually won a fight yet, he hadn’t lost one either and that was good enough for me to retain my faith in him. I hoped that this film, directed by Emile Edwin Smith in 2014 had the ability to empower my favourite giant killing machine. Although that faith may never have the opportunity to be supported because the Mega Shark featured in this film was a completely new one. Let’s call him Mega Shark 2.0. Upon seeing the gnarled markings all over it’s body and witnessing its opening action of decapitating the sphinx with a piece of debris, I decided that this one was much better. Every hero had to encounter an evil robot clone of themselves at one point, if it’s good enough for Bill and Ted then it’s good enough for Mega Shark 2.0. A tale of shark vs machine was about to unfold, the ocean’s greatest killing machine pitted against a creation of the land’s. Would my new Mega Shark achieve what his predecessor never could and make me truly proud? Nope, he died too. I was beginning to grow weary of all of this.